Mental Health and Wellbeing Charity Touchstone has ranked number 1 for a third year in a row on The Inclusive Top 50 UK Employers List, showcasing exceptional levels of representation across all protected characteristics at Senior Management, Executive and Board level. The Leeds based charity was born in 1982 after it was acknowledged that large numbers of vulnerable people were left feeling isolated and distressed. 35 years on and Touchstone provide services to over 5,000 people per year, aiming to make the cities they work in more culturally competent. The charity is acutely aware of their perceived position of strength as a major provider of mostly BAME services and have shown enthusiasm for sharing their resources, knowledge and position of influence with smaller, grass roots organisations. Hailed by our advisory panel for being ‘outstanding all round’ and an ‘excellent organisation with real impact’, Touchstone’s strong submission and impressive statistics showcased phenomenal commitment to diversity across various topics including recruitment, training, community initiatives, employee engagement and mentoring schemes. Evidence provided is a testament to Touchstone’s passion and determination to putting equality, diversity and inclusion at the heart of the charity, and a position at the top of the list is most certainly warranted. An Investor in People Platinum employer, Touchstone’s staff team is their greatest asset. In their 2018 IiP review, 99% of staff agreed they shared the values of Touchstone. Staff development is also crucial to quality service delivery and Touchstone are committed to meeting their colleagues’ aspirations now and into the future. A major tenet of their staff development strategy is the concept of personal responsibility and learning from their mistakes. Maintaining their organisation as a safe, just and reflective space is one of their 5 Strategic Business Plan objectives and all staff are encouraged to live and honour this value. The involvement of service users as experts by experience is also a substantial part of what Touchstone does and co-production is an embedded feature of their services. Staff tell them the best thing about working for Touchstone is their diversity and celebration of difference. They work hard to value all staff and strive to be a place of safety for all staff and service users. You can really be yourself at Touchstone and this is part of their continuing success. In their 2017 staff survey, 93% of staff said they would recommend Touchstone as a good place to work. The charity delivers 14 BME specific contracts across West Yorkshire, and all staff receive mandatory diversity training within 6 months of gaining employment. The Trans at Work training, Sexual Orientation Training, Whistleblowing and Bullying and Harassment training is run separately and is also mandatory. Touchstone display positive action messages across the organisation, in managers’ email signatures and in posters and publications at all sites, such as Stonewall’s “Working with older lesbian, gay and bisexual people”. There is also an “Outstanding Contribution to E&D” staff award which staff nominate to and actively vie to be nominated for as part of the annual staff away day. Touchstone monitor staff at grade level to assess whether there are gaps in their recruitment strategy and whether they need to target particular groups. For example, since they identified an under-representation of LGBT staff in 2010 and began working with Stonewall, the percentage of SMT who are LGBT is now up from 0% to 16.5% and 25% of the management team is LGBT. 14% of all staff identify as LGBT up from 1 colleague in 2010. In 2017/18, they advertised 48 roles and out of 45% applicants from BAME communities, 44% of these applications were shortlisted as were 13% of those with a disability. There was one applicant who identified as trans in this period and that person was shortlisted and appointed. To celebrate LGBT History Month, Pink Pals (Allies Programme) once again went “on tour” to Team meetings to raise awareness of LGBT equality and ran a pop-up Leadership Masterclass with an LGBT-expert Panel. They also run training on Dementia awareness and have set up Team Champions to ensure each site meets the Dementia standard for access and support, as well as delivering Domestic Violence training for staff and service users affected by abuse. Touchstone lead a series of community initiatives to improve the experience of diverse communities. The most profound being their Migrant Access Project (MAP) which they run alongside the local authority to train up newly arrived migrants to access local services; meaning they can access GPs, schools, benefits, housing etc. They train up community “leaders” or Migrant Community Networkers (MCNs) who then cascade the learning to hundreds of others. Since December 2017, 21 new MCNs have been trained with a further 21 in training. Weekly Drop ins were initiated in November 2017 and to date 24 sessions have been held with asylum seekers totalling 99 visits. The projected outcome figure, based on the first 6 months of data is 88 sessions, and 400 visits, by June 2019. They have also trained over 20 migrants to become Migrant Community Health Educators (MCHE), working in GP surgeries to improve access to primary care which was featured on Look North on 17th May 2018. 10 of Touchstone’s staff – including 3 senior managers – have also agreed to be buddy’s to new arrivals to Leeds. Touchstone runs and funds Hamari Yaadain – a monthly Dementia Cafe for South Asian older people in Leeds. They speak Punjabi, Urdu or Hindi at the cafe so that people who do not speak English can understand what is happening to them and get the right support. They have developed a free coproduction kitemark for Leeds (and beyond) over a period of a year which has inclusion and diversity as one of the 10 indicators. This kitemark was launched on 5th July and has been adopted by NESTA and NHS England and they hope to persuade all commissioners to buy-in to its use by 2019. 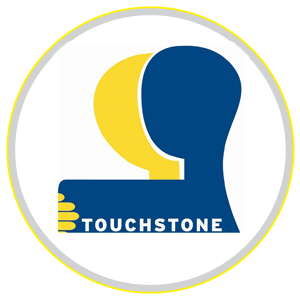 Touchstone employs an incredibly diverse staff team, whilst creating the conditions for all staff to thrive and be recognised for promotion and advancement. In the 2017 staff survey, 48% of staff were BAME, 72% were women, 14% LGB, 19% disabled and 1% Trans/nonbinary. 33% of the Senior Management Team are BME, 33% disabled and 50% female. 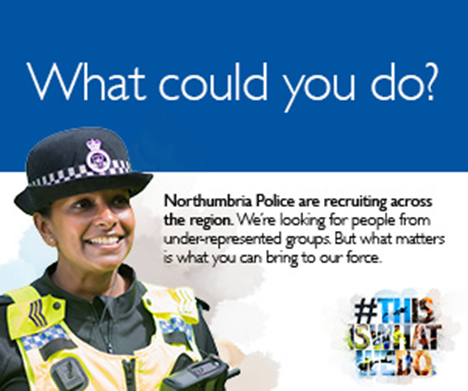 Touchstone takes its position as a BAME leader in the North very seriously and seeks to support others to promote and develop Diversity and Inclusion both internally and within the communities they operate. They give their time for free to ensure no-one is excluded.